Enjoy your tunes and transfer music to the Amazon Kindle Fire. The Kindle Fire supports non-DRM AAC, MP3, AMR, MIDI, OGG, WAV, and MP4 file formats for music. 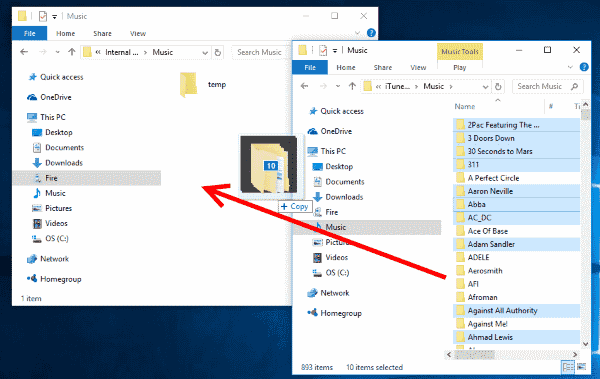 There are a couple of different ways you can copy your music files over to the device. One method involves uploading your files to Amazon’s Cloud service, the other option involves transferring files to the memory of the device. Here’s how to do both. From the computer where you music library is located, visit Amazon Music and click the “Upload your music” link on the left pane. Install and open the Amazon Music application on your computer. Select the “Your Library” option at the top of the screen. Select the icon to “View the music on your computer” located in the upper-left corner. Now you can right-click any album or song and select “Upload“. The item will then be uploaded to the cloud and available from your Kindle Fire in the “Music” app. Connect the device to your computer using a Micro-USB to USB cable. Once the Kindle Fire is connected to your computer, unlock the screen. The Kindle Fire will now show up on your computer as a media device. Windows users can look under “This PC“/”Computer“. Mac users can download and install Android File Transfer and look on the desktop for “Fire” or “KINDLE“. Open the “Fire” or “KINDLE“. You will see a folder named “Music“. You can drag and drop any of your music files to this folder. How do I transfer my Amazon Music from my Amazon music app on my Android phone to my 5th Gen. Kindle fire 7? I had trouble transferring mp3’s to my kindle 8, then I finally figured it out. I was trying to drag them from my computer to my fire with no luck via a usb cable. I kept getting error messages. I eventually figured out I had to access the settings on my tablet and go to the usb section and change it from charging to a transfer file setting, then I was able to transfer files easily all on the tablet. It was the only way to access the internal storage on the fire. Clicking on it from my pc would not open it up to transfer files. I hope this makes sense and helps some other people out too. I have loaded some MP3 music from my PC into the Music folder on my Fire HD8 (2018) but they are not being displayed when I enter the Music section. “Updating my music” has not solved the problem. How do I get to play them? All solutions found online are for earlier versions and so are inappropriate. Many thanks in anticipation of receiving an answer that works. 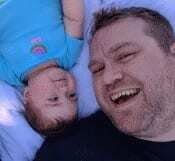 Where do I find the “amazon music application ” to install? Hey guys, just a quickie, couldn’t get my wife’s 2015 $49 Kindle to recognize the MP3 I transferred via USB until I went into the MENU>SETTINGS> and turned “My local Music” or whatever that option is to ON, it was defaulted to OFF? So dumb, and frustrating. Hope that saves some of you some time. I had music on my kindle to listen to when I DID NOT have internet connections. It worked but now my music is on the cloud and I can’t listen when not connected. How did this happen and how do I undo it? My kindle fire won’t show up in my computer windows 10 any advice? I have been looking for an easy, not to technical way to do this for months! This took me a whole 15 mins and I was able to get everything I wanted from my ITunes account to my daughters Fire! Thank you!!! Thanks Skip, your advice from 3/2016 worked! The instructions for transferring music files worked on my other tablet but not on the Kindle Fire for some reason. So glad you posted! 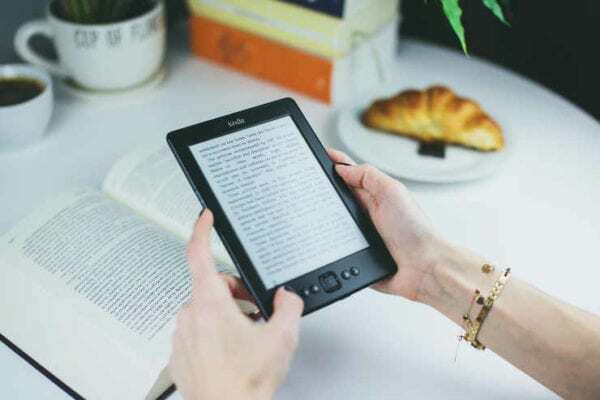 Just know that you cannot transfer WMA files (you can, but they don’t show up on the kindle). The MP3’s work quick nicely just dragging and dropping and then syncing. I don’t know. This sounds like a lot of work to me. I transfer my music directly to my kindle fire 5th generation. Once I’ve plugged in and my tablet is recognized in “My computer” I just open up Media Player, switch from the “Play” option to “Sync” (make sure your fire tablet is shown in media player). I then drag any songs I want to the sync column to the right. Once full or whenever I’m done, I just click “start sync” and all files are transferred directly to the tablet. I’m guessing from your screen shots above that you’re using a newer windows version than windows 7. Is this option to build a sync list not available on Windows 8.1 or have they improved it to the point that it’s useless? I know it’s a few months after TED asked the question but….. The 2015 Kindle Fire is commonly referred to as Kindle Fire 7 because of the 7 inch screen but it is correctly called Kindle Fire 5th Generation. Settings / Device options and the next to bottom item in the list is device model. 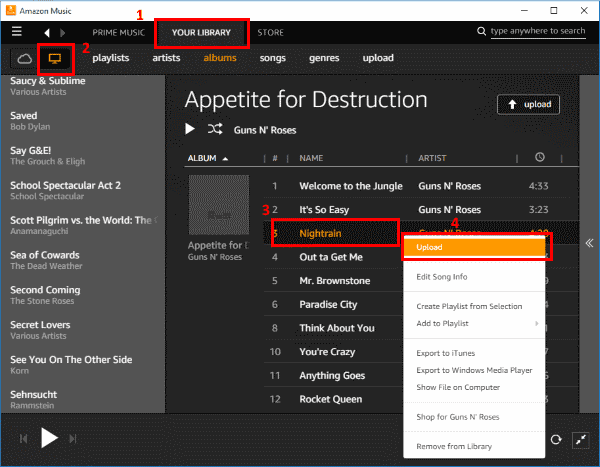 05-Feb-2016: I just downloaded the Amazon Music, and follow exactly steps1 thru 4 from the top set of instructions, but sadly, when I do right-click on the song that I want to upload from my PC, the context menu does NOT show “Upload” anywhere. The top entry in the menu is “Edit Song Info”. Wont this take up all the space? It is so small space wise as it is. Does this work for kindle fire hd 6? what is the new 2015 $49 Kindle tablet called? Kindle Fire what?